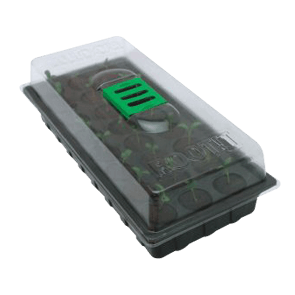 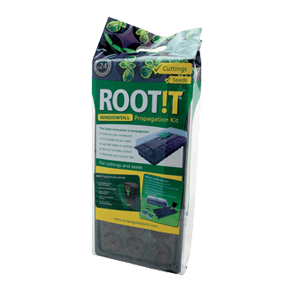 This slim line propagator is perfect to fit on your windowsill. 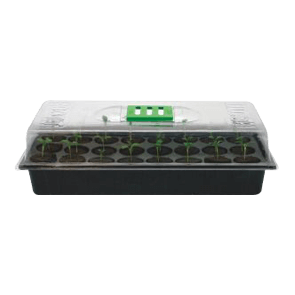 In Summer a greenhouse or windowsill will provide enough heat for a propagation. 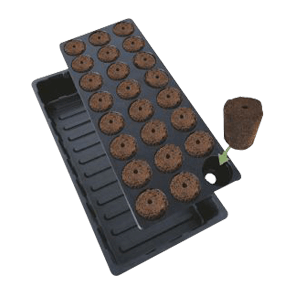 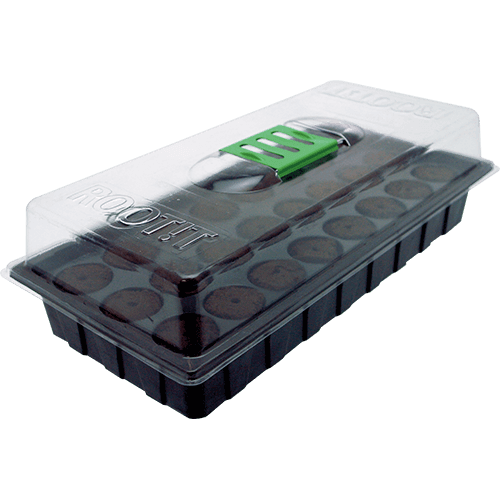 It comes filled with 24 Natural ROOT!T sponges that fit into the vented propagator and ridged tray. 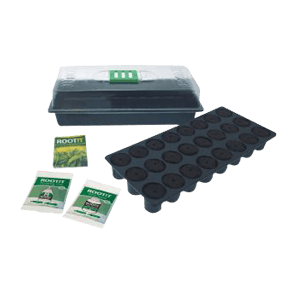 Also included is a sample sachet of ROOT!T Rooting Gel, a sample sachet of ROOT!T First Feed and a ‘How To’ guide on successfully achieving great seedlings and cuttings.